One Person Killed And Two Injured In Deadly West Palm Beach Crash | Schuler, Halvorson, Weisser, Zoeller & Overbeck P.A. One person was confirmed dead and two others sustained fatal injuries in a deadly crash along Palm Beach Lakes Boulevard and Congress Avenue in West Palm Beach. Emergency services were spotted at the intersection of Palm Beach Lakes Boulevard and Congress Avenue after a deadly crash in West Palm Beach. Two vehicles were directly involved in the fatal crash which killed one person and sent others to the hospital. Authorities say the crash occurred when a Mercedes Benz SUV collided with a Kia Optima. 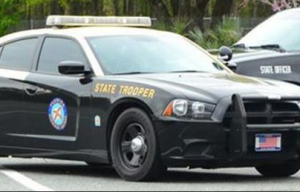 The Benz SUV was traveling southbound on Congress Avenue, approaching the intersection on high speed, while the Kia Optima was traveling eastbound on Palm Beach Lakes Boulevard. The two vehicles collided at the intersection. The force of the crash caused sent the Kia Optima towards the south segment of the intersection where it crashed against a traffic signal pole. The driver of the Kia Optima sustained life-threatening injuries in the crash. She was pronounced dead after all efforts to resuscitate her on the scene failed. Two occupants of the Benz SUV also sustained severe injuries in the crash. They were put in an ambulance and transported to the nearest hospital. Emergency services spent four hours clearing the crash scene of debris. The Florida Highway Patrol is still investigating the cause of the crash, more information will be provided as investigations progress.